Any idea where this is? The piper and the young fellow on the left were featured in Music We’d Like to Hear #70. 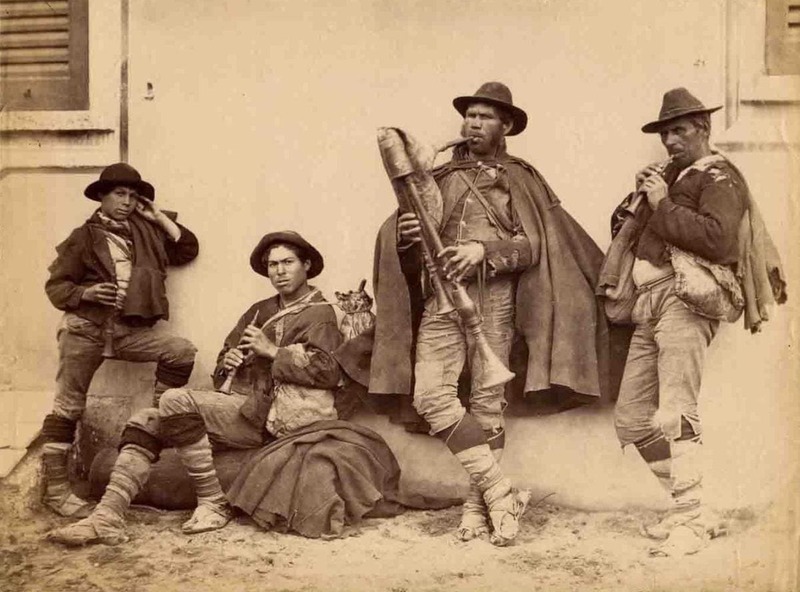 A fine bunch of Italian musicians. The bagpipe is the zampogna. Notice he has his hands on two different pipes. One chanter has the upper hand notes and the other has the lower hand notes. This makes it possible to play in harmony with yourself. The other stalwart fellow are playing the pfierro, a double reed shawm, similar to the bombarde of Brittany but not so strident.